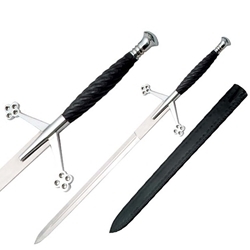 <div>This inexpensive Steel Claymore has a cocobolo handle, steel guard & pommel. Leather sheath. Overall length 40".